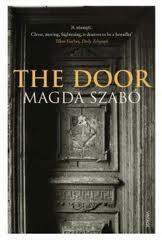 Set in prospering Budapest, Hungary circa 1970, the “door” in question belongs to the apartment of Emerence, a house cleaner and helper for Magda. Emerence’s name is of French origin and means “worthy of merit” – (“venerable” in Hungarian) an apt name for an older woman who pretty much comes and goes to her part-time jobs as she feels like it and wherever there is need, but she always does an excellent job. And although she is the angel of the neighborhood, she allows no one into her house – at all – not past “the door.” There’s a story behind that – in fact there is a story behind all of Emerence’s eccentricities – her fierce and seeming unpredictable moods, her control over animals, her beliefs, her fear of storms. This is really her story. Emerence doesn’t allow people to get close to her – she gives love, never accepts it – except possibly in the case of Magda, an author by trade. One day while Magda’s husband is in surgery and close to death Emerence tells her a very chilling, sad, grief-stricken chunk of her (Emerence’s) life story. Magda, by her own admission, becomes obsessed with Emerence – and they become fast friends. The strange thing about this novel is that I “like” all the characters! I really like Magda who does have a huge part in the novel – she may be the 1st person narrator, but the story belongs to Emerence. I like the Magda’s husband, I like Emerence, I like the Viola (a male dog), I even like the minor characters. Emerence has some secrets and she acts very badly at times, but when she’s good she apparently more than makes up for the bad times – like an angel who is unpredictable and has a violent temper, but then reverts to angelhood. She entertains the very close neighborhood people on her porch, she sweeps the streets of snow (this is her job), and she brings food to others, but no one, ever, gets through her door – physically or metaphorically. With the outpouring of strange, second-hand gifts from Emerence, Magda’s house looks like it was a part of an E.T.A. Hoffman world. I had to look that up so I put up a graphic here – too cool. There is a huge undercurrent of suspense. What people or events have caused Emerence to behave this way? What in the world is going to happen – we’re given a few foreshadowings to hasten the page-turning. And then more. The history of 20th century Hungary comes up frequently, from the Aster Revolution of 1918, through the Kingdom, the German occupation, and, of course, without really mentioning it, Communism. Emenence is an old woman, born in 1905, who lived through all those difficult times – and she had her own difficulties – serious ones. But the book is not political – it’s about human beings. And Communism, which is the regime of the times, is presented as a humane and moderately efficient system if somewhat hypocritical. The protest part is in the theme of the emotions and morals based on emotional judgements (below). The dog, Viola, is seriously, thematically important. He (yes – for a reason) has very real and unmasked emotions. And Emerence doesn’t mask her emotions, either. That’s probably what draws them together although the dog belongs to Magda. The others in the story try to hide what they’re feeling, do the rationally “right thing” instead of considering that emotions and intuition give us very important clues as to what this “right thing” might be. These other folks lie to make others feel better or to do what they want, they rationalize this somehow and it causes some real trouble. Related to this are aesthetics and ethics in that we are not “islands” – other people and their emotions do affect us; their pride, shame, grief, joy, etc. impact whomever is around. This difference in rational/ emotional composition between Emerence and Madga is the novel’s main conflict. Emerence understands people via an emotional connection, Madga understands books via logic. Emenence is almost entirely negative about established anything, the government, church, officials, schools, etc. She loves animals entirely (talks to them) and people as individual human beings. She is fiercely independent, proud, hard, hard, hard working and equally giving. She will be beholden to no one. Magda needs and gets a LOT of help to run her household and do her work – she gets it from Emerence. Magda is “beholden” to the State for her awards and has to go when they say go. Christianity plays a huge part in the book – especially Holy Week with Lent, Palm Sunday, the Garden of Gethsemane, Judas, Good Friday, and the Last Supper and the cross being mentioned more than once. Betrayal is a huge theme – over and over. And the narrator and her husband find the dog on Christmas Eve. Even Martha (the worker) and the Pentecost (speaking in tongues) are mentioned while baptismal chalices are carted around the neighborhood full of food for those in need of it due to sickness. But Emerence is not religious at all – doesn’t believe in God or an afterlife – but Magda does and she goes to church and the story is from her point of view. Emerence, although she professes not to believe in God, is herself a kind of Christ figure – the child of a carpenter, poor, illiterate. Magda is Mary who goes to church and listens to the word of God. Emerence is Martha who works for others. Similar to Christianity, Greek mythology also comes up several times and I’m not sure what to think of that. But again, the narrator is an educated woman apparently with some background in Classical Greek. Another theme is aesthetics – when is art “better?” When it’s more realistic? What is kitsch? What is quality? Why? Should quality be real or can it be broken or both – a matter of taste alone? She loves her peasant things, but also appreciates fine craftsmanship. But film is fake. Fwiw, Emerence is also anti-intellectual. She really only appreciates good hard physical work and those who do that. She is a peasant type woman and takes pride in that – but she is incredibly intelligent, especially when it comes to non-linear, non-rational thinking, feeling, knowing. Meanwhile, Magda is an intellectual. But Emerence is totally dissatisfied with politicians, artists, thinkers, writers – any and all non-workers (and she means manual workers). As the story moves along Magda and the reader learn more and more about Emerence, her life and her ideas – how her emotions are based in her painful past and are the basis of her moral code. 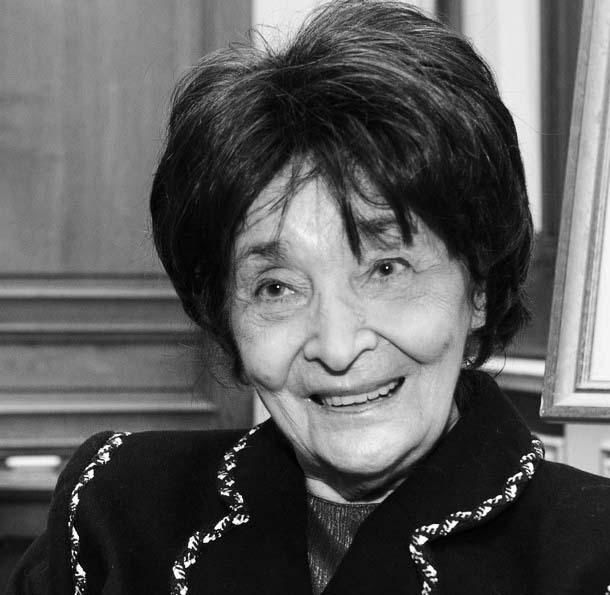 We learn very little about Magda except in relation and in opposition to Emerence. Magda doesn’t understand Emerence at all, her emotional outbursts just totally confuse her. This is a beautifully written book and nicely translated. Very definitely an idea or theme driven book and from a very non-American point of view (although it’s certainly not anti-American in any way). I’ve been meandering through your blog after linking here from Kinna’s African Reading Challenge. I read The Door last year and really really loved it. Emerence is such an amazing character. I hadn’t thought about the Christian themes/symbolism or seen Emerence as a Christ figure, but that’s a really interesting perspective. Thanks for your comment and following! I still remember the wonder I felt reading The Door.